Finalists in The World Travel & Tourism Council’s (WTTC) annual Tourism for Tomorrow Awards have been announced, recognizing Kinyei International (KI) as one of three finalists in the People Category for their dedication to sustainable social change. 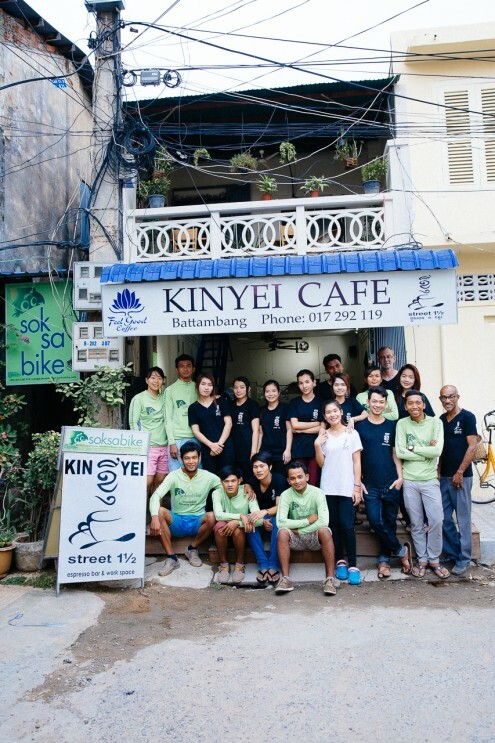 KI represents Soksabike Tours and Kinyei Cafe; sibling businesses in Battambang, that are youth-focused social enterprises armed with the mission of providing meaningful training in small business management, hospitality, and sustainable tourism practices. Attracting 157 applications across a number of categories, the People Category recognizes organizations that work exceptionally to enhance the capacity of people, and to support them to enter the Travel & Tourism sector as well as offering fair employment practices. KI’s placement as a finalist in the WTTC Awards comes on the heels of another Responsible Travel accolade; KI was named the winner of Wild Asia’s Responsible Tourism Award in the Responsible Tourism Initiatives category in September 2015.